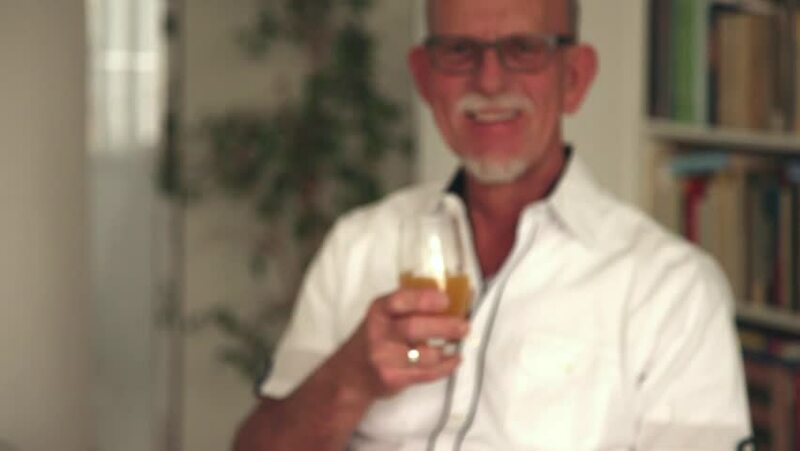 Smiling senior man drinking fresh orange juice. Starting and ending blurred. (No audio). hd00:06Asian senior woman drinking ice fruit at cafe. 4k00:30a Man Has a Rest in a City Park in End of a Working Day. he Thumbs Through an Album With Photos on His New Smartphone. a People Pass by the Man. All of Them Hurry Somewhere by Private Affairs. 4k00:42A young man talking on the mobile and sitting under the tree. Medium shot. Soft focus.